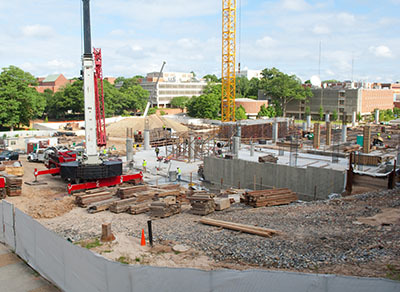 Georgia Tech is dedicated to implementing integrated design methods in the design and construction of large capital construction projects on campus. 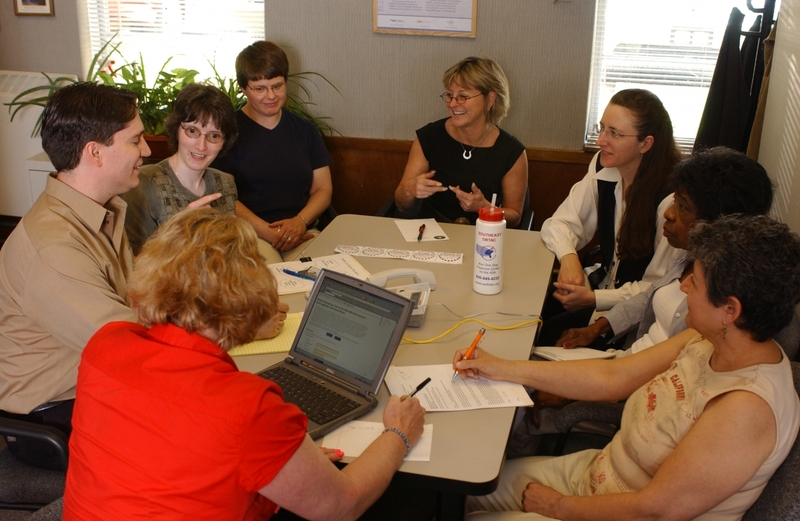 This methodology gathers a multidisciplinary team at the start of the project and aims to include the opinions and needs of all of the stakeholders, including faculty and students, who will engage with the project throughout its lifecycle. A common method of instituting integrated design is to host an intensive workshop, also known as a charrette. During a charrette, various stakeholders and experts are brought together to address a particular design issue, from a single building to an entire campus, installation, or park. 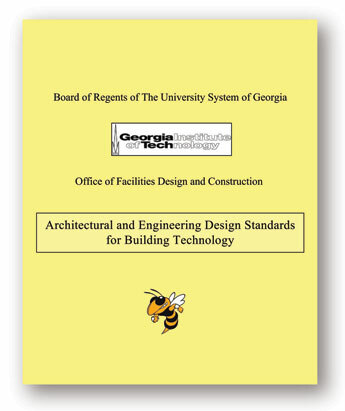 Since 1996 Georgia Tech has written and required construction compliance with our own efficient and green building standards. We build according to green certifications and standards because we are commited to producing high-performance buildings. From 2003 through 2015 Georgia Tech built or renovated 23 projects to LEED Silver-level certification or higher, certifying 2.9 million square feet of space. We also built or renovated another thirteen projects while following a green building standard which would meet or exceed a level of gold certification. 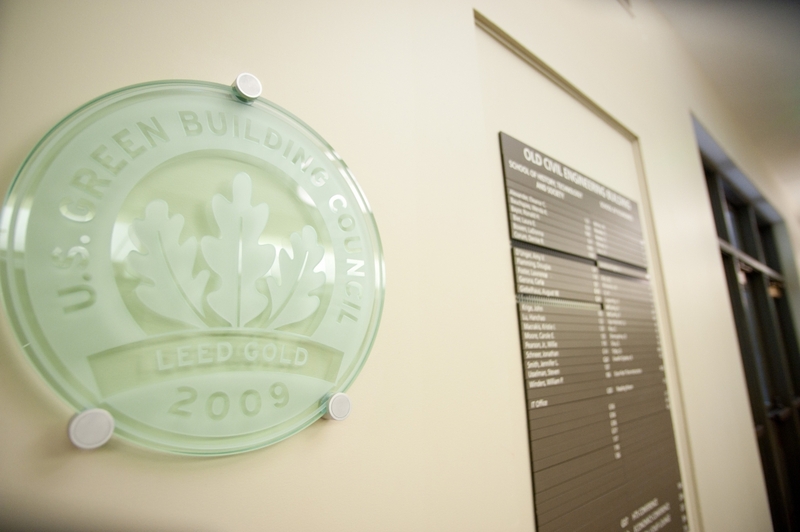 Beginning in fiscal year 2016 our green building policy was amended to build according to our own strict, environmental and efficient green building standards, but not pursue LEED certification. We are pursuing the state of Georgia’s Peach Energy Efficiency and Sustainable Construction standard. In accordance with our Yellow Book design standards, all capital projects with a budget exceeding $1 million dollars are required to execute construction waste recycling. From 2003 through 2015 these projects have met or exceed an 85% waste offset. In the beginning of fiscal year 2016 our Design & Construction team developed a pilot program for a construction waste management specification for small-scale construction projects. Criteria for implementation is being identified via data collection throughout the fiscal year. The intent is to develop an overarching construction waste management policy by 2017.